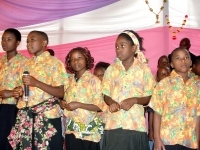 The DR Congo Watoto Hope Children's Choir singing at the beginning of the Beni convention 2011. 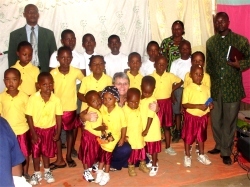 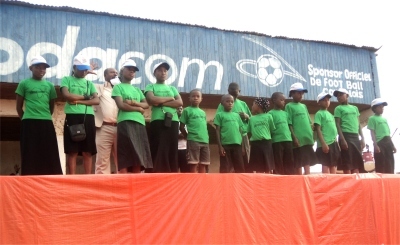 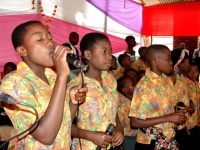 DR Congo Hope Children's Choir singing at the Beni crusade 2011. 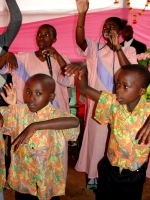 The Uganda Hope Children's Choir were delighted with their new uniform donated by UCT.